The student ID card is a mystery to some RBHS students. For some, it is merely a form of identification and has no significant uses. However, few are aware of the potential conveniences offered by the card. A majority of students do not seem to realize that they have always had the option of using the student ID to check out materials in the media center, instead of typing in their student numbers. The same option goes for buying lunch, as students can scan their student ID instead of typing in a number. The process to achieve this is to simply scan the student ID under the barcode scanners used by the media center circulation desk. Using the barcode located on a student’s ID card, they simply need to scan the barcode underneath the scanners, similar to the way materials are checked out. This will achieve the equivalent of typing in a student number and will hopefully be quicker than it. Despite the obvious advantages that come with this scanning perk, many students still do not yet know about it. It has long been an option for students, yet it is seldom seen being used. Sophomore Halim Mavrakis recently learned about this advantage of scanning the student ID card. He said if students begin to use it and have their card ready before they get to the scanning machine, it could be a highly successful feature. This option is not only appealing to students, but also to RBHS staff. 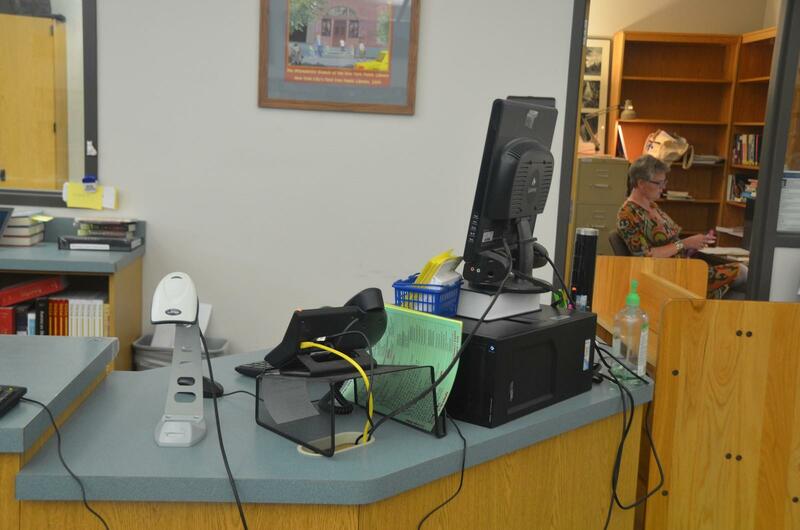 Media center specialist Dennis Murphy believes that this option can help reduce the constant noise that students create while waiting in line to check out materials. Brown said while students might benefit from this feature to a certain degree, the same might not happen to the lunch staff themselves. The simple process of scanning with the student ID isn’t just a luxury tool for familiar students. It is also a very helpful feature for students new to the CPS school district. Such students, who are not nearly as familiar with their student number as other students, can benefit from the barcode scan option, as they do not have to remember their student number; they only have to have their student ID with them. Overall, Mavrakis believes having the option of being able to scan his student ID rather than typing in his number is both appealing and interesting.